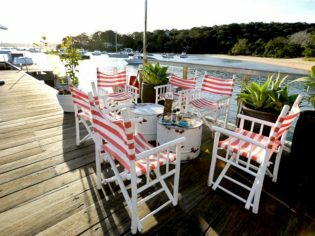 Start your walk at Sydney's Taronga Zoo and end up at Balmoral Beach where you can reward yourself at a bevy of cafes and restaurants. Let your tastebuds come along for the ride on these walks and then reward them at one of these tasty cafes or restaurants. See: Sublime harbour views, bushland and beaches. Do: From Taronga Wharf, walk uphill to join the path into Sydney Harbour National Park (you’ll see it). Follow it all the way past Bradleys Head and Taylors Bay to the southern end of Clifton Gardens Reserve. Stop for a dip, then rejoin the path at the beach’s northern end and continue to Balmoral. Eat: Anything at Balmoral Bathers’ Pavilion (4 The Esplanade). Return the way you came. Phew! 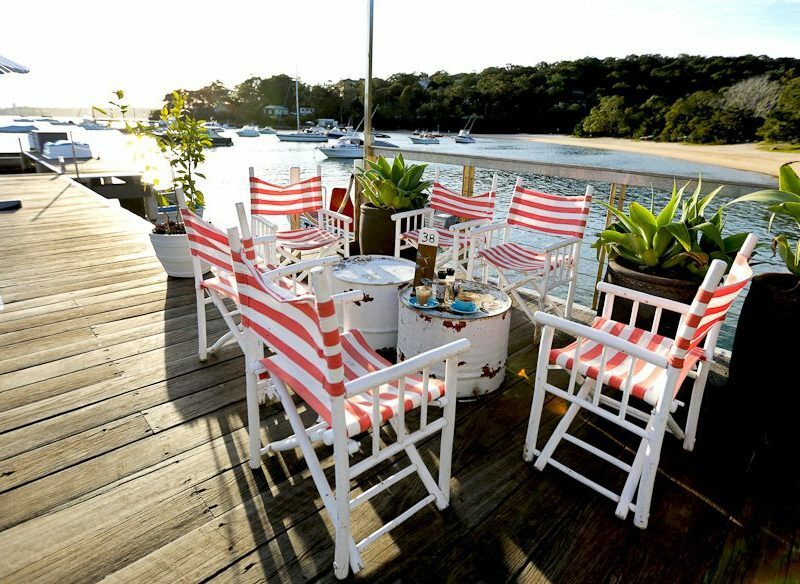 Straddie: peaceful picnic paradise with some serious seafood options. See: Soft sand, native wallum and a peaceful, picnic-friendly waterhole. Do: Park on the side of Tazi Road (aka Trans Island) and take the Karboora Track into Naree Budjong Djara National Park, all the way to the gin-clear water of Karboora, which means ‘deep, clear pool’ in the local Quandamooka language. Eat: The freshest seafood around at the Little Ship Club. See: The bush and grassy woodland of the Mt Lofty Ranges, and in winter, the local southern brown bandicoots. Do: From Gate 3 on Scott Creek Road, head up Bandicoot Track. Turn left at Currawong Ridge Track, then one kilometre later right onto Cup Gum Track, then right along Mt Bold Road, right on Stringybark Track, right again onto Neville Road, and again at Matthews Road arrive back at Gate 3. Eat: Pub nosh beside open fires at Coromandel Valley’s Duck Inn (393 Main Road). See: Beautiful indigenous rock art, wildflowers, craggy rocks, grassland. Do: From the sign in Yankee Hat carpark, take the grass path to the right and follow the signposts all the way to the artwork. Eat: The Grazing Plate afterwards, at Lanyon Café (15 Tharwa Drive, Tharwa). Bruny Island’s Tahune Forest Reserve, Tasmania. See: Ever-changing views of native healthland, eucalypt woodland and secluded beaches. Do: Park at the campground near the end of Old Jetty Road, Cape Bruny, then follow the walking track clockwise to return. Eat: Grab cheese and sourdough at Bruny Island Cheese Co (1807 Bruny Island Main Road), and picnic halfway along the walk at Butlers Beach. See: Spectacular rugged coastline, eucalyptus forest, isolated beach. Do: Follow the Main Creek Track from the carpark to Bushrangers Bay, then continue along the cliffs to Cape Schanck. Eat: Fruit loaf and coffee afterwards, at Flinders Bakehouse Café (60 Cook Street). See: native bushland, koalas, kangaroos and elegant water birds. Do: Depart from the Lakeview picnic area with the Loch McNess wetland on your right. From the Wetlands Walk Trail, branch left onto the Ghosthouse Walk Trail, and follow it all the way. Eat: At historic Yanchep Inn, in the company of kangaroos. Return via the Koala boardwalk.